DAVID LE/Staff photo. 2/25/15. 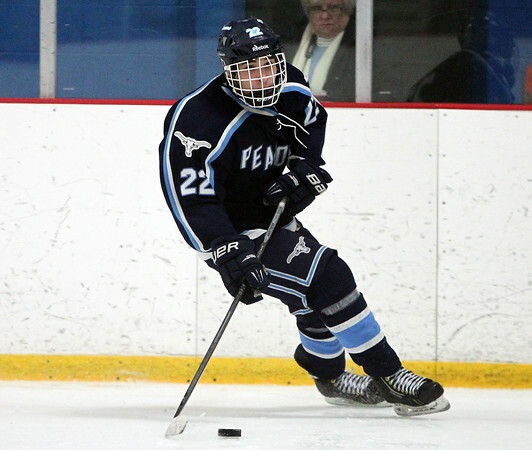 Peabody sophomore forward Chris Gillen (22) drives to the net against Danvers on Wednesday evening.